When we first began this adventure, one of the big issues we needed to plan for was travel health and medical evacuation insurance. It took some exploration to find a plan that would provide coverage for the full year of this trip. Once obtained, we pretty much put it out of our conscious thoughts. That is, until Lorraine broke a tooth earlier this week. 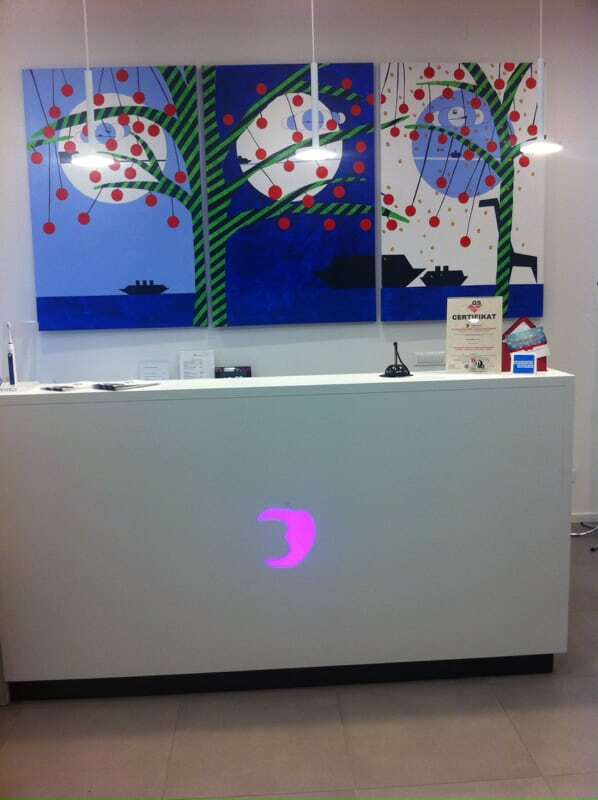 Fortunately, the hotel referred us to a local dentist just a five minute walk away. What a pleasant surprise Dr. Nino Balenovic, Dr. Kristina Horvat and their staff were. Not only were they accommodating enough to see us right away, they also were very pleasant and gentle, completing the process of making a crown for the broken tooth within two days. This is a family dental practice, as Nino, his sister, Mateja, and their father (now 74 and retired) are all dentists. Dental training in Croatia is fully funded by the government, so there are no tuition costs for those who become dentists. 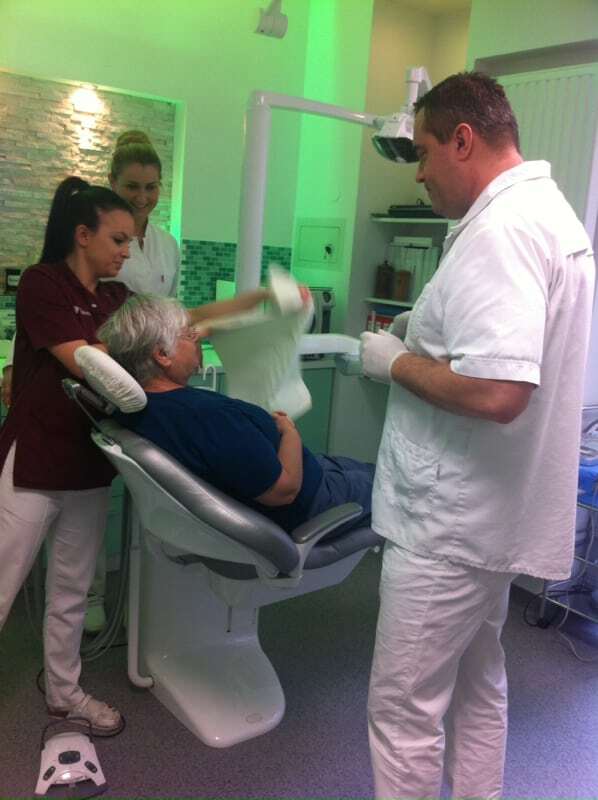 From our perspective, Croatian dentists are every bit as competent, efficient, and painless as their colleagues in America.We would highly recommend this office to anyone who required dental work in Zagreb. 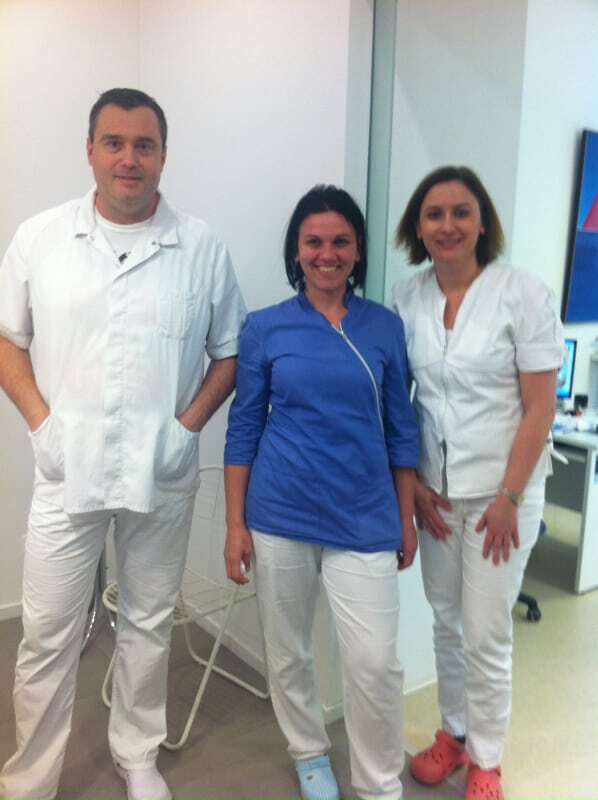 Nino Balenovic on the left, Ivana their nurse inthe middle, and Nino’s sister Mateja, also a dentist, on the right. Nino’s and Mateja’s father was a dentist as well. So this is truly a family dental practice. Completion of Lorraine’s crown work with Nino, Kristina Horvat (also a dentist in the office), and Marina (in the maroon smock), dental assistant. Treatment completed. 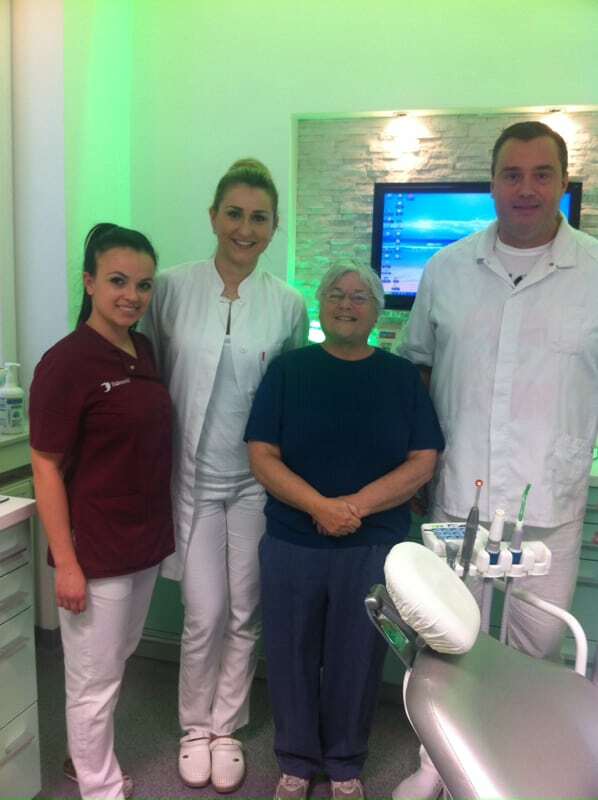 Marina (dental assistant), Dr. Kristina Horvat (dentist), Lorraine (the brave patient), and Dr. Nino Balenovic (dentist). It was interesting to have two dentists work on Lorraine at the same time. There were three treatment rooms in the office. 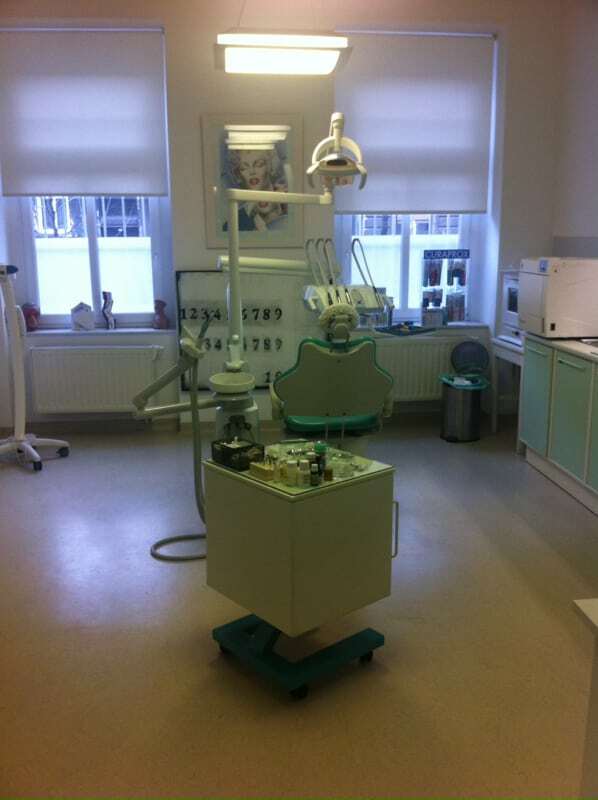 This vintage dental chair belonged to Nino’s and Mateja’s father.